Whether you are a home-based business or an enterprise customer, our wide range of VoIP services allows you to unleash the power of the Internet to transform your communications. 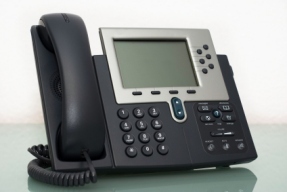 Voice Over IP provides a cost effective means of communication. The VoIP service is available from virtually anywhere in the World. As long as you have an internet connection, it will work, without any kind of configuration or changes. Take it with you when you travel. Use it in a hotel, on a train or on the road. This involves termination of voice traffic for clients. Calls are sent from your VoIP switch to our main host and we will terminate calls nationally or internationally. This provides a cost effective telecommunication system specially for volume users.